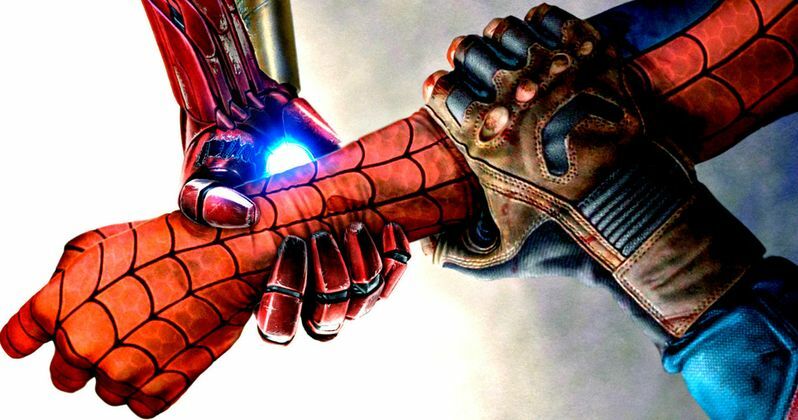 Will Spider-Man Choose Team Cap or Team Iron Man in Civil War? Earlier today, we showed you new photos from Marvel's long-awaited Captain America: Civil War, which kicks off the summer movie season on May 6. The photos came courtesy of Empire Magazine, and now we have more details from the issue, thanks to What Culture. The magazine reveals that Spider-Man's (Tom Holland) appearance in this superhero adventure will come at a very interesting point in the movie. This report claims that Spider-Man doesn't surface in the movie until after all the previously-established Marvel Cinematic Universe characters choose which side they'll fight for, Team Captain America (Chris Evans) or Team Iron Man (Robert Downey Jr.). Unfortunately, it isn't known which side Spider-Man chooses, but Peter Parker is said to "form a relationship" with one of the heroes after his introduction. In the Civil War comics, Spidey initially sides with Iron Man before switching sides to join Cap. It's worth noting that, when Tom Holland auditioned for the role, he was said to have tested with both Chris Evans and Robert Downey Jr. while production was under way in Atlanta last year. The report also sheds new light on The Winter Soldier (Sebastian Stan), who we last saw in the end credits sequence of Ant-Man. That brief scene showed that Cap and The Falcon (Anthony Mackie) had finally tracked down The Winter Soldier, who was starting to remember his childhood memories with Cap. Director Joe Russo revealed to the magazine that fans will be "arguing" about whether or not Bucky was a hero or villain after walking out of Captain America: Civil War. Here's what the filmmaker had to say below. "He and Steve have the emotional connection of brothers - even more so because Bucky was all Steve had growing up. Bucky was his protector, and that dynamic shifted when Steve Became Captain America, and now it has shifted again. The Cap-Bucky story is a love story; he can't let go of his brother. He can reconcile Bucky's crimes, but other people have no emotional context for Bucky, and they need to point the finger. We have no idea if he's a hero or a villain. People are going to walk out arguing about that too." We still don't know when exactly Marvel and Sony's Spider-Man reboot will start production, but the studios have already set a July 28, 2017 release date, so it seems likely that production will begin sometime this year. Kevin Feige has previously teased that they have "big plans" for Spidey in the MCU, but it isn't clear what other movies he may show up in. What do you think about these new Captain America: Civil War details?